We left South America at the end of March, 2018, more than five-months ago, yet the images in our minds, and memories of the wonderful encounters we experienced remain as vivid as today’s lunch. It is hard to fathom that a year ago we were in the Canelones district of Uruguay, waking up each morning to uncover the vegetable beds in the garden, and flick any large slugs into the chicken coop for the hens, the successor often pursued by her peers. 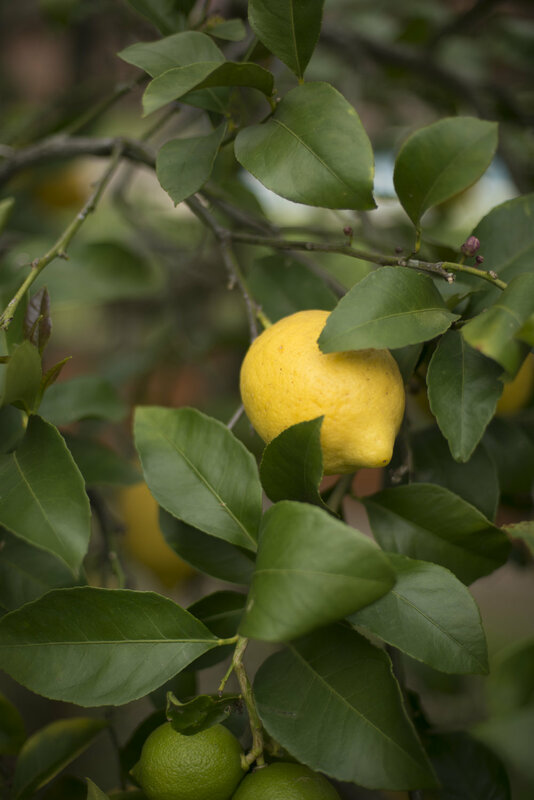 We would collect fresh eggs for breakfast, gently lifting the warm bellies of the laying hens to gather them, and foraged a few lemons and satsumas on the surrounding citrus trees, dotting the ranch. Breakfast was strong espresso coffee, a hearty serving of dulce de leche (caramel, essentially), fresh lemon curd, jam, and a few poached eggs, served on slices of bread, a type of which we have not see elsewhere; similar to a square scone in size and with the layers visible on the sides, the bread is sliced across each layer, with a soft middle and dry crust. Those mornings were so important to our daily routine and our sense of place there, during our five-week stay with Sole, our Uruguayan mother; we remember our time fondly, brilliantly. The vegetable gardens were our favourite place to spend time within, picking dead or dying leaves from silverbeet, celery, and kale, nipping budding/seeding plants, and harvesting leafy greens for delicious meals of leek pie, or a colourful salad. We also helped to prepare older beds for new produce by pulling weeds, transplanting seedlings, and correcting irrigation lines in the soil. I preferred to weed with my bare hands, until a close encounter with a rather startled tarantula. Tending to these gardens provided a rhythmic, cathartic routine to our days. Other curious creatures featured around the place, too. Spotted wood-peckers echoed their tap-tap-tap through the trees, while enamoured Red Cardinals joined the chorus by knocking on window panes, enticed by their own reflections. Occasionally cane-toads, or frogs dressed in proud patterns would require rescue from the pool, or hide disguised in dirty gutters we cleaned; we would jump when the mud came to life. Kia (front), Bruno (centre), Renee (tail in the back): Dak (off chasing horses or eating socks, presumably). Ready access to fresh eggs made for a rich, flavoursome, and vibrantly-hued lemon curd, using a recipe I taught myself to prepare while living abroad in Kolkata, India, eager to experience a taste of familiarity in a bought of homesickness. Prepared with eggs, generous measures of butter and sugar, and flavoured dramatically with tart lemons (juice and rinds), it is a decadent treat. During our stay at the ranch, Sole’s close friend and confident visited one afternoon for supper. She saw that we had a jar of curd sitting on the table, and guardedly lifted a teaspoon of it to her lips. In a matter of seconds her whole body seemed to tremble and tears fell hot and quick from her cheeks; worried that it had gone bad, I quickly reached forward to remove the jar. Laying her hand on mine she smiled and laughed through mournful tears - she explained that as a little girl her family had a servant she looked up to, who would prepare a large yield of lemon preserves each year, and for many years in her adult life she was saddened that he died before she might ask of him the recipe. The flavour was deeply nostalgic to her, and spoke tenderly of childhood memories - soon we were all gathered around a hot stove, giggling, stirring a fresh batch of lemon curd and writing the recipe down as we went. She departed with an armful of jars, a tight hug, and thank-you kisses on our cheeks. Many-an-hour I stole away to the chicken coop, to sit quietly in the corner and study the curious lives, politics, and pleasantries of the flock of hens and the strutting, proud roosters. Occasionally I would jump in to rescue a female member of the group from a pursuing randy rooster, or the two scrawny, brown, young males from the violent wrath of the same guy, in a display of hierarchy. The handsome guy above was delegated the rabbit-coop as his home, after he and the other lead rooster couldn’t settle their differences civilly; out of pity and in awe of his beautiful plumage, I spent a great portion of time in his company, winning him over with treats and nibbles. We became good mates, and every now and then I would swap the two roosters to give him a chance with the ladies, and to stretch his legs, scratch in the dirt, and flaunt his stylish ‘do’. The maternal instinct of the females in the flock was strong, doting over each peep of chicks as they hatched, grew stronger, gained confidence, and scurried around after crawling insects. This broody lady often greeted me with a scowling glare, and a guttural growl as I approached her for eggs. We miss this ranch dearly. Keep an eye out soon for my next walk through memories of our time in Uruguay, and South America in general.